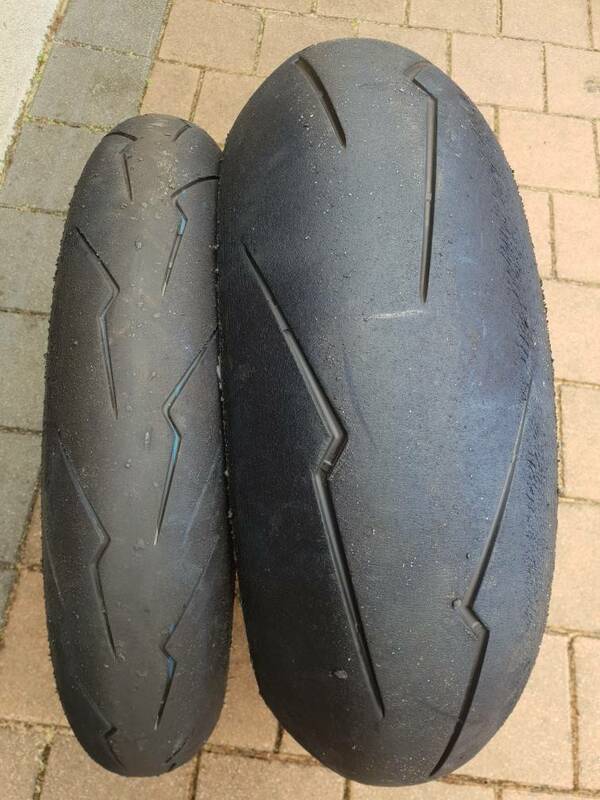 Race/track tyre thread. 2nd hand or new tyre trade. Thread: Race/track tyre thread. 2nd hand or new tyre trade. 120/70 SC1 and 180/60 SC2 used only at Collie so left side has maybe one day left at medium pace. Right side has heaps left. Flip them and you’re good to go. $100, msg me for photos 0432 514 364. Cost $380. Will take $250 firm. PM me if interested. 4 heat cycles. In good nick - was still comfortably doing 47s around Collie. Last edited by chasingweights; 12-04-2019 at 08:23 PM.